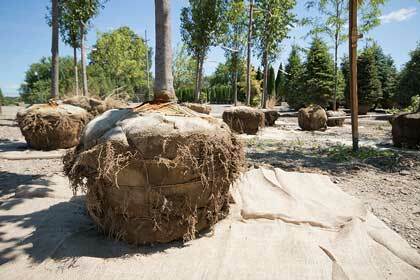 Landscape professionals are asked to register as a wholesale buyer. Each week throughout the season one of our knowledgeable staff pens an article on topics that are helpful to our wholesale nursery and hardscape clients, featuring tips, plant info and current topics in the news. View archived versions of the past several seasons of newsletters below. See also our Plant References Page for a link to our downloadable Perennial Plant Reference along with a variety of other helpful guides, references and articles. And visit our Helpful Links page with information on industry organizations and associations, other websites that offer useful tools and resources, and interesting articles on current topics. Ground covers in 2016 Give us a call! What are the 3 F's of Design? Ready... Set... Go! New paver products for 2015 Why is material "short" in 2015? Safety at the nursery Asian Longhorned Beetle The Landscape Buddy! Trees are scarce - time to sub! Carl Linnaeus, Plant Hero! "Chip dirt"
Reinvest in your success Montauk Daisy Sending your customers in? 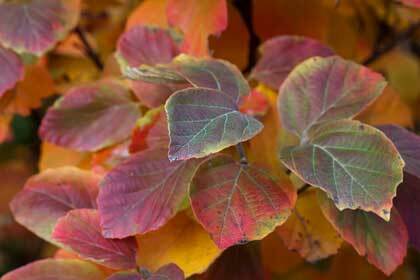 Pruning tips Fothergilla gardenii "Growing Trucks"
My arbs are dying! (not) Fall pruning of grasses & roses Are crabapples out of style? Winter burn on evergreens Will you lead the change or...? A thank you and a... donut? New faces this spring Rose Rosette Disease "Commercial Grade" ? Why do your PJMs suffer? Rehabbing stagnant ponds My plants need a quick kick! Paver maintenance Plants for hot and dry Is your truck too small? Reconnecting with customers Cool Clematis Cotinus Cage Match! Fall "digging hazard" trees Polymeric sand tips When is it enough water? Arpillera / Burlap When to pull out the pesticides What happened to this tree? More variety, more fun! Helpful government Name that plant! Spring training New year, new format Winter...hum! Let us provide photos! Rosetta Outcropping tips "Special orders" now "stock"
Urban Apples Edible groundcover? To catalog or not to catalog? Choosing climbing plants Shade tolerant ornamentals Lighting Season! Christensen's is a wholesale supplier of trees, shrubs, perennials and hardscape supplies to the landscaping industry in southeast Michigan, including Detroit, Ann Arbor, Jackson, Lansing, Flint, Toledo, Ohio, and throughout Midwest, but we can – and do – ship elsewhere! We stock a large variety of high-quality plant material, as well as popular brands of brick and pavers, for pick-up or delivery.